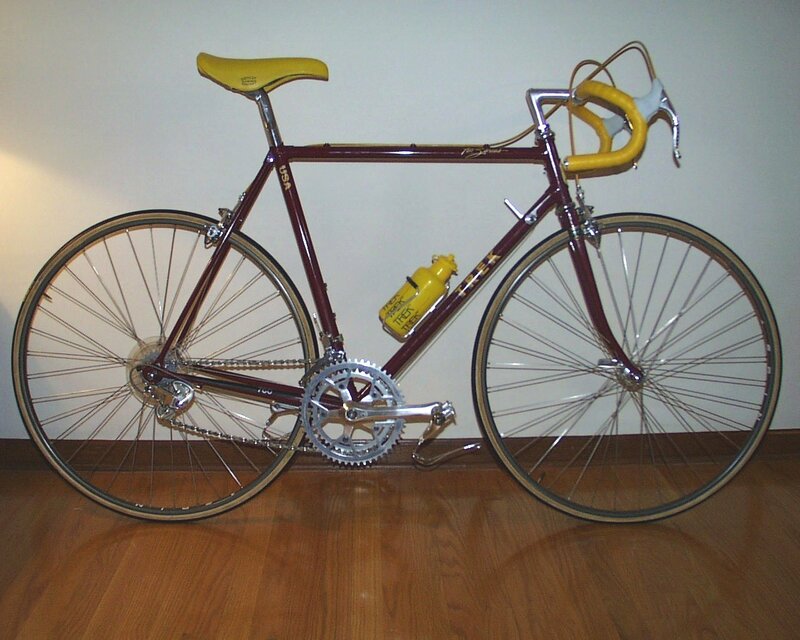 Dennis writes: "I have an old 1984/1985 760 frame (only) that I was thinking of restoring. The frame would need a complete stripping and repaint." "I started looking for parts for the restoration with bicycle shops that carry old parts and that I have done business with in the past. One of the shops sent me a fax with the parts they had and their prices. Also on the fax was a complete 1985 Trek 760. I assumed the bike was used. 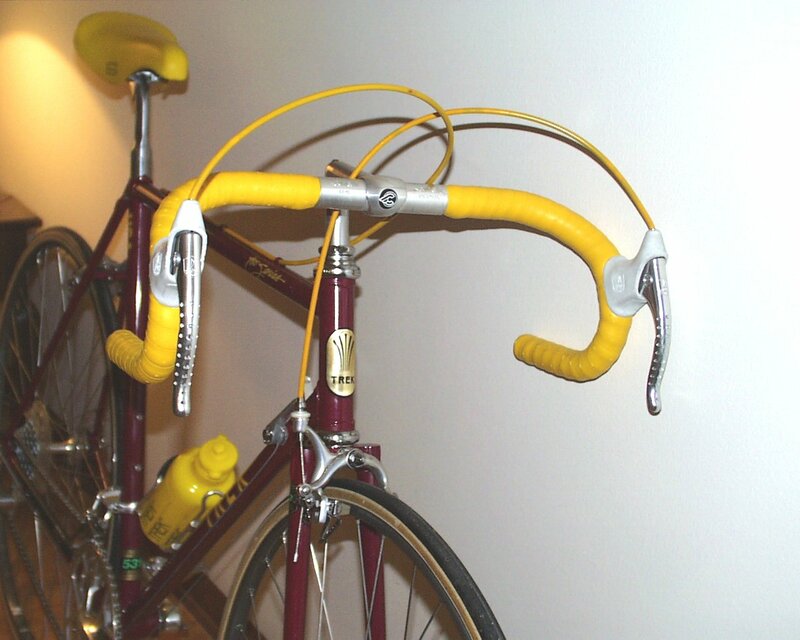 I called the bike shop with the thought that it might be better for me to by a complete used bike and refurbish than start the project with only the frame." 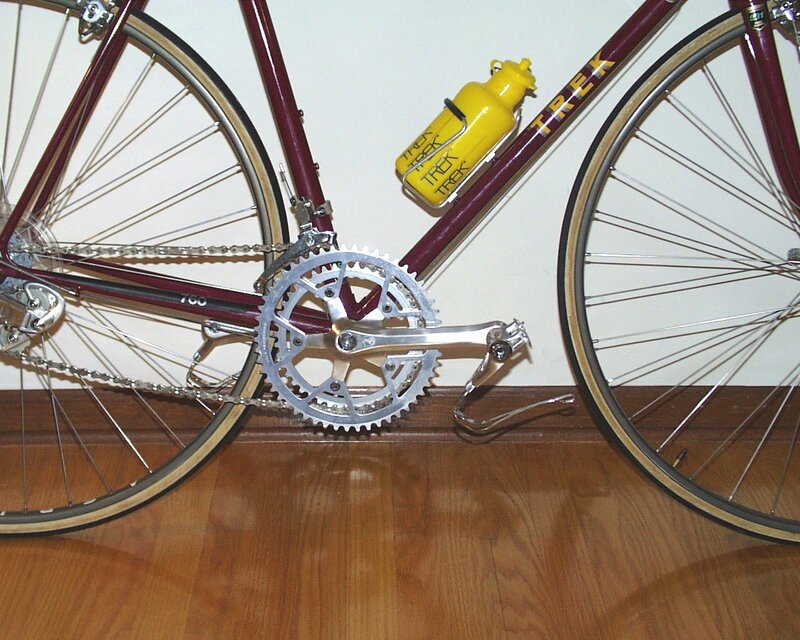 "When I contacted the shop, I was surprised that the bike was brand new and never taken out of the carton. 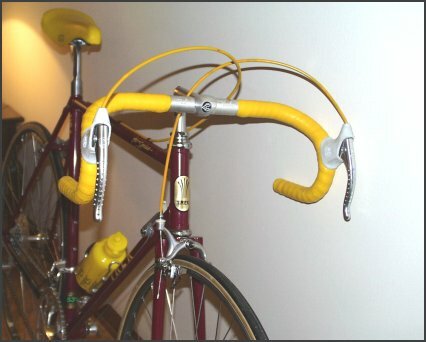 So I bought a brand new 1985 Trek in March 2002. It's still winter and have not had the opportunity to ride. 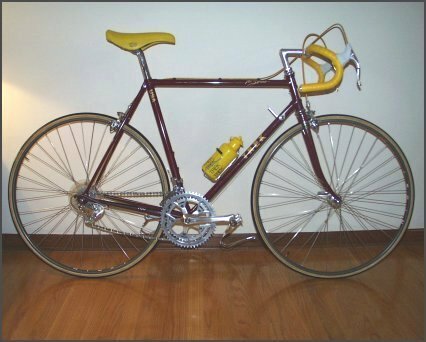 This is my first bike with tubular tires. 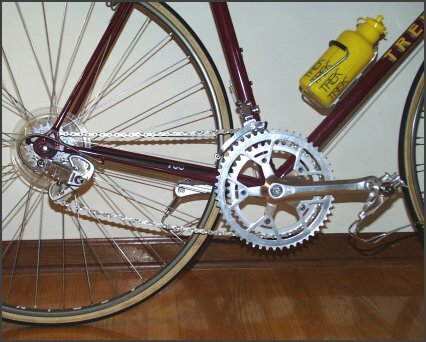 As you know, it has a complete Campagnolo Victory group and the frame is full Reynolds 531C." All materials in this site not copyrighted by others are Copyright © 2001-2014 Skip Echert Web Associates, All rights reserved.